Onsite HD Video Capture of presentations, lectures, events, and more. To schedule your HD Video Capture please fill out the following form or call direct: Julius A. Evans, 504-669-4276. 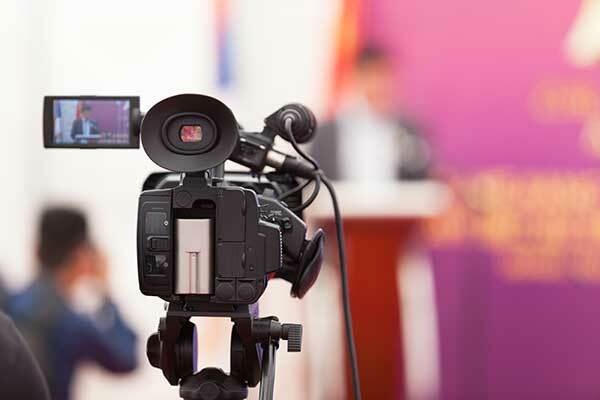 Our Basic HD Video Capture includes a Video Production Professional to manage the video recording of your presentation, video capture hardware includes our Broadcast Quality HD Resolution camcorder, one Pro Grade wireless lavalier microphone, camera tripod and miscellaneous support gear. We will capture up to 120 minutes of video and audio content in the MP4 HD video format for onsite handoff to you on a SD media card that we are including at this low rate of $450.00 per event. We’ll clean the head and tail making your content ready for immediate upload to your landing page, website, or social platforms.